Perfect for up to 5 people, great for an office to share or for a family to enjoy together! 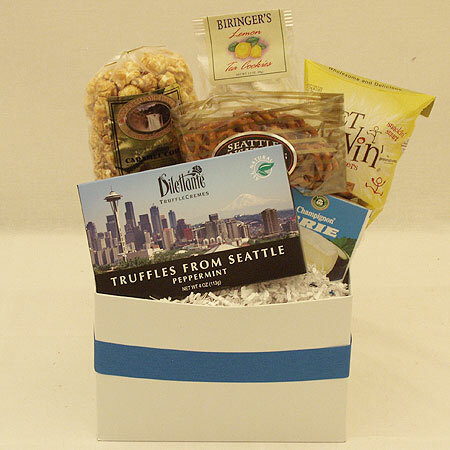 A delicious assortment of Brie Cheese Spread, Partner's Crackers, Seattle Sinsation Pretzels, Dilettante Truffles from Seattle, Snoqualmie Candy Co. Caramel Corn and Biringer's Cookies. Something for everyone and sure to be a winner with any crowd!